New build just done and I have set up the speedo with the correct wheel diameter. The speedo shows under half the speed. Marking 'For Sale' items as SOLD??? 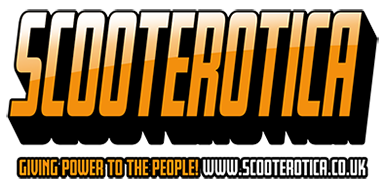 Can anyone suggest a motorcycle trailer also suitable for scooters pls? ...I can't make it so wondered if anyone can slip me a copy of their sneaky recording for Gavin? Anyone have any new developments on these ? Is it possible to tell the difference between an indian and Italian GP headset with out taking it apart?